If you have a DSLR, you should be familiar with the "blinkies". When you review an image on the LCD screen, these are the little blinking black warnings that tell you there are blown-out (overexposed) highlights. Many photographers advocate exposing so your histogram is as far to the right as possible, without getting the "blinkies" (i.e. overexposing any of the highlights). The rationale behind this method is to retain as much noiseless detail in the original capture as possible, to give you maximum leeway during post-processing. This can be a useful rule of thumb, but of course like other photographic rules, there are times to bend or break it. Following this rule may lead you to believe that you should always reduce your exposure when your camera registers "blinkies" after taking a shot. But there are times, namely when your image includes the sun, specular reflections, or other bright highlights, when reducing your exposure will lead to a muddy, severely underexposed image. Here I provide two examples from my own photography. First, the image above, taken recently at Kenilworth Aquatic Gardens, of dew drops hanging beneath the edge of a lotus leaf and refracting the morning sky with rising sun. 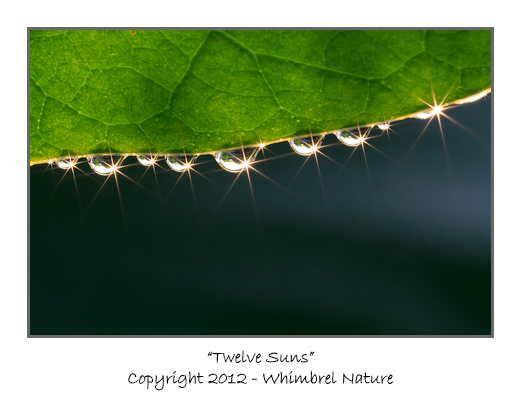 My camera was telling me emphatically that most of the sky and the sun refracted in the drops was grossly overexposed. However, I knew that if I lowered my exposure any further, the top of the leaf, which was beautifully backlit by the sun, would have become a muddy, underexposed mess. I also would probably have lost much of the impact of the sun stars which attracted me to this subject in the first place. 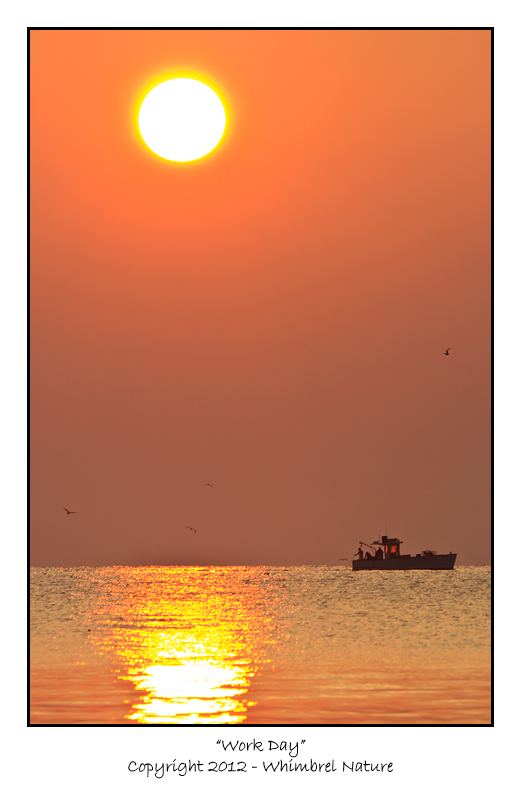 In the second image below, I used my telephoto zoom at 300mm to capture this crab boat next to the rising sun. Due to the low angle on the horizon and very high humidity, the sun was muted significantly, but not nearly as much as the surrounding sky and water. If I had tried (vainly) to preserve detail in the sun and the specular highlights on the foreground water, I would have dulled and muddied the gorgeous orange and gold colors, as well as losing any detail in the silhouetted crab boat. Always remember that your camera provides a lot of useful tools, but you must use them thoughtfully to create great images on a consistent basis. Elijah, both images are stunning. I love the Twelve Suns for it's simplicity and Work Day because it reminds me of being on the Chesapeake Bay. Great post Eli. I'm waiting for the "Monsoon" rains so i can get a little moisture in my photos. We've had a grand total of .29 inches for the month which is a record! I learn so much from your wonderful posts, Elijah! Exceptional photographs ... 12 glorious sun stars and all!